I got Battleground Teela on the Cyber Monday sale for $10! I had passed her up several times before, but the $10 price was Big Lots cheap enough for this SpartanNerd! 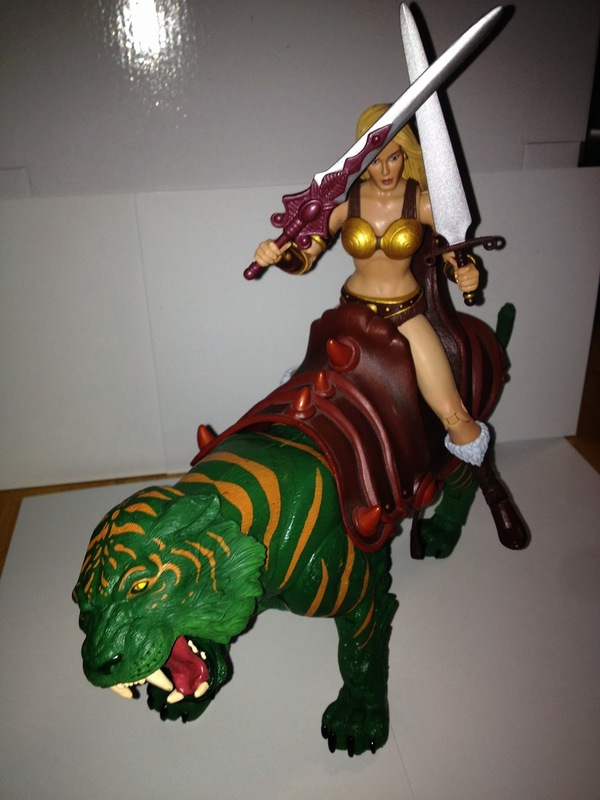 This blonde Teela with metal bikini armor feels more generic, kind of like the Griffin and Vikor. She could be any barbarian’s girlfriend! Of course she came in a box like this. Here is what she looks like in box. Teela using a gun in the 1987 movie, and that is just about it. But this sword is cool! BG Teela makes a fine bride for Vikor! her head is turned, because of her hair. This is most unsightly. If you waist twist her, she has this shelf. This staff looks splendid in her hand! It just feels right! the one that came with her. I wish the shield were a different color. Give her both swords….Now this is fantasy! What is my rating for Battleground Teela? I’m afraid I can’t give more than a 3\5. The hair looks good, but I wish it didn’t hinder her neck movement. I also wish the snake mask would fit…Also, the whole love handle shelf thing when she twists her waist isn’t good. 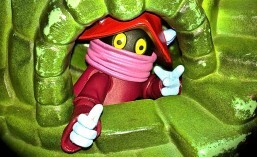 On the other hand, I like her…She is beautifully sculpted, and fits almost any fantasy situation, including MOTU. I like sitting her on the back of Battle Cat, and I like her holding that staff. I am proudly displaying her in my nerd closet! This entry was posted in Battle Cat, Battleground Teela, Griffin, He-Man, Masters of the Universe Classics, Staff, Ultimate Battlegraound Weapons;, Vikor. Bookmark the permalink. 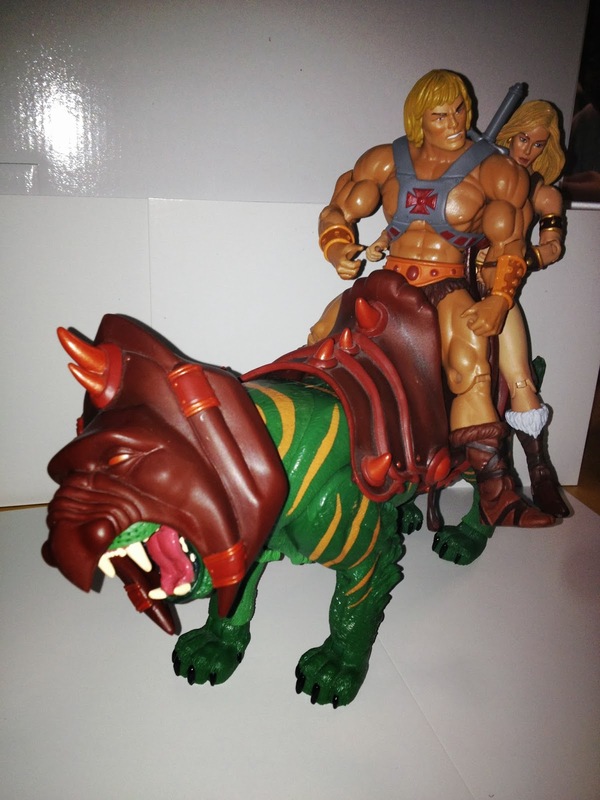 ← Masters of the Universe Classics Unboxing and Review….The Griffin!